UNBELIEVABLE BLOWOUT PRICE! Medical reasons force closure of this location on September 7, 2009. 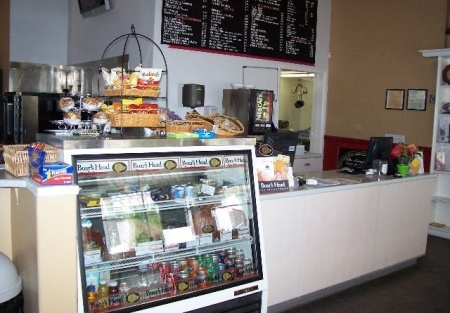 It's time to be your own boss with this great turn-key 5 day deli/cafe! Yes, work only 5 days and have the major holiday's off! what a deal. Come with a great personality, great customer service, and creativity to attract customers and you'll hit a home run with this cafe. In the heart of Doctor and business offices, this deli/cafe has hundreds of employee and medical customers to serve. Also the nearby hospitals help to fill there dining area on a daily basis. All equipment is in very top condition. The owner's pride shines through in this spotless end cap restaurant. Inside seating for 20, beautiful covered patio seats 26+. 1,263 square feet, with a base rent of $2,022. Only open Monday-Friday! That's right, you'll have your weekends off! Increase days/hours to increase revenue. Owner has retired due to medical reasons. Please select the orange button below to get more information and to contact the selling agent. Beautiful inside! A MUST SEE!! !